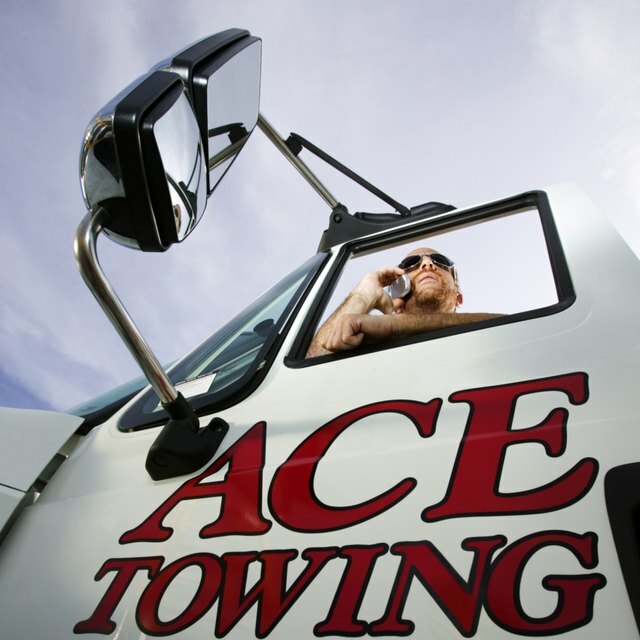 How Much Does a Tow Truck Driver Earn? A locksmith makes keys and opens, repairs and installs locks. The locksmith must be knowledgeable about different locking mechanisms including combination locks. Professionals in this field can work for a locksmith company, hardware store or be self-employed. The average annual salary for a locksmith in December 2010 is between $27,562 and $45,623, according to PayScale. The Bureau of Labor Statistics reports locksmiths earn a median annual salary of $35,780 and will see job growth of 7 to 13 percent through 2018. Self-employed locksmiths are the highest paid professionals in the field with yearly salary ranges between $25,434 and $98,264, while those working for a local or state government earn salaries between $27,122 and $40,976. While the salary for a government locksmith has a higher amount on the low-end of the range the potential for self-employed locksmiths is much higher, according to PayScale. The location in which the locksmith works is a factor in the salary he can earn. California locksmiths earn salaries up to $62,370a year and those in New York earn up to $50,421. Florida locksmiths earn lower salaries, of up to $30,521, according to PayScale. However, the cost of living in Los Angeles is 56 percent higher than in Jacksonville, Florida, according to My Salary. Locksmiths earn high salaries after gaining experience in the field. A locksmith with 10 to 19 years in the business can earn a salary range between $30,521 and $58,552, while those with less than a year as a locksmith earn between $17,379 and $26,500 annually. PayScale also reports the salary of a locksmith with one to four years experience earns an average salary range that is approximately $10,000 to $12,000 higher than the worker with less than a year experience. Companies and businesses that employ locksmiths may offer benefits to workers to create value for the position. Popular benefits for locksmiths include paid sick time, holiday and vacation pay, health insurance, 401k plans and company vehicles for making service calls. Self-employed locksmiths do not receive benefits and must pay out of their own pocket for health insurance and time off from the business.